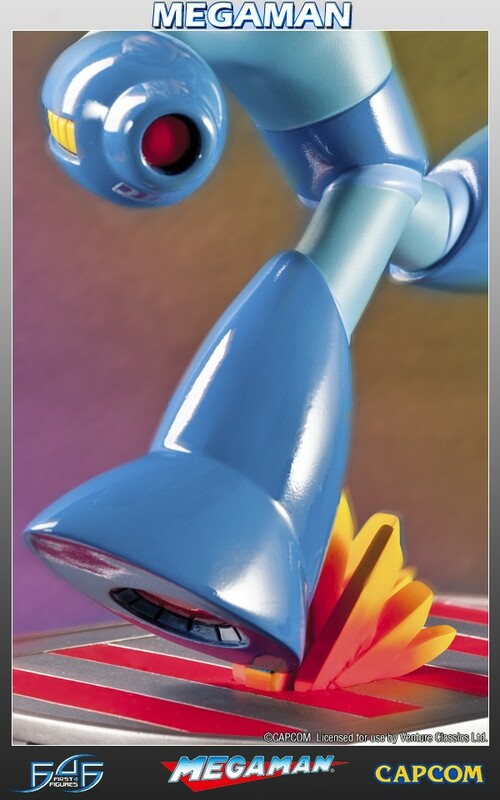 3 months x $45.00 + final balance ? 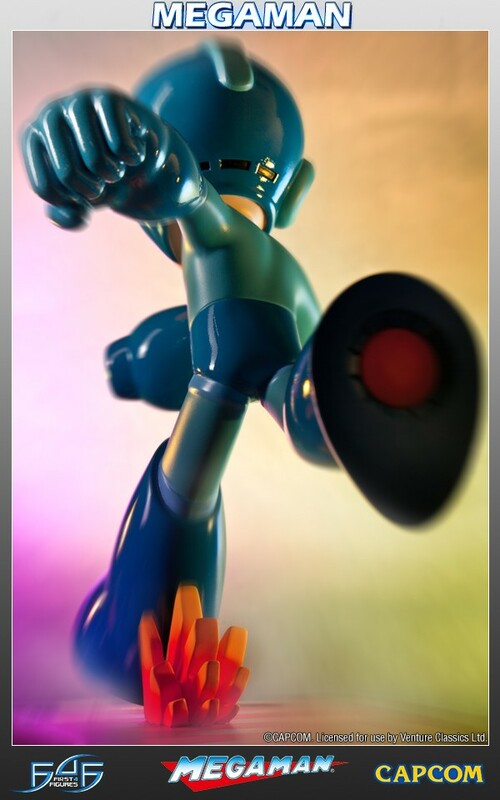 6 months x $26.00 + final balance ? 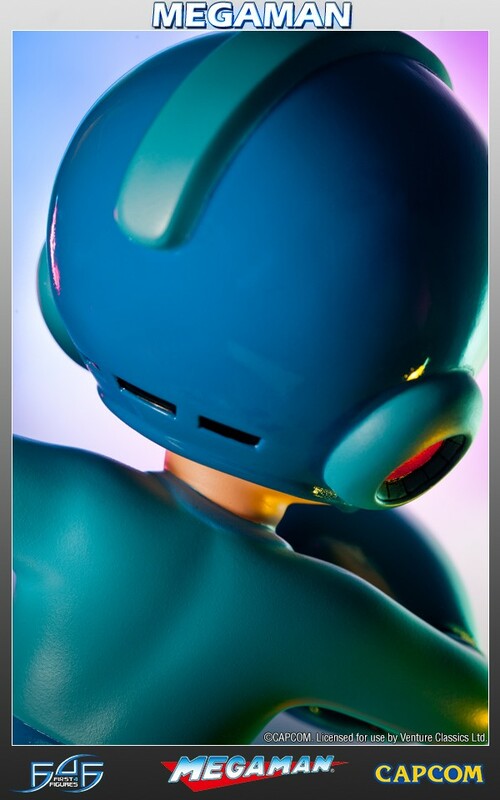 8 months x $20.00 + final balance ? 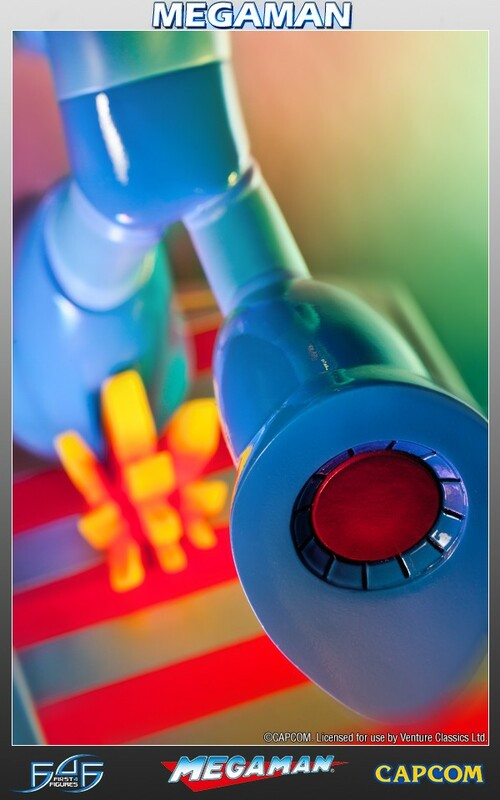 11 months x $15.00 + final balance ? 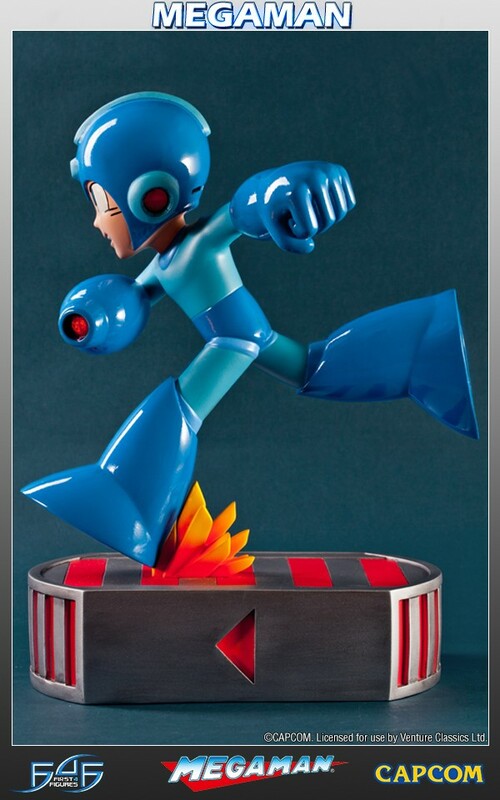 You will earn 1,000 F4F Reward Points for purchasing this product. 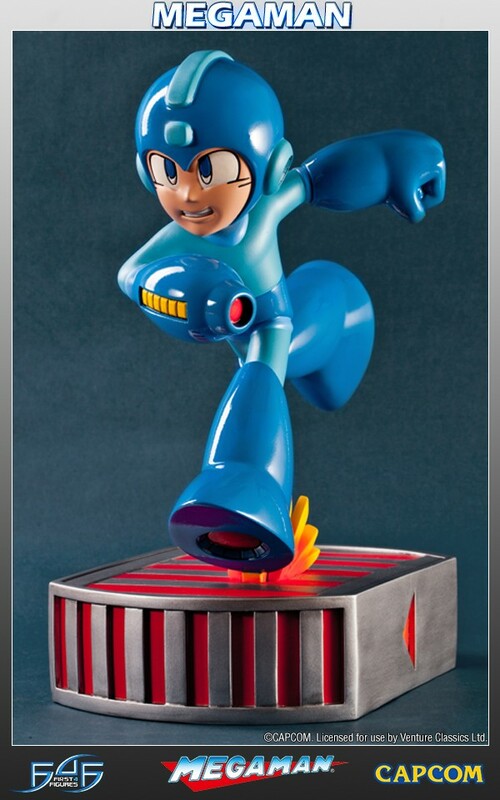 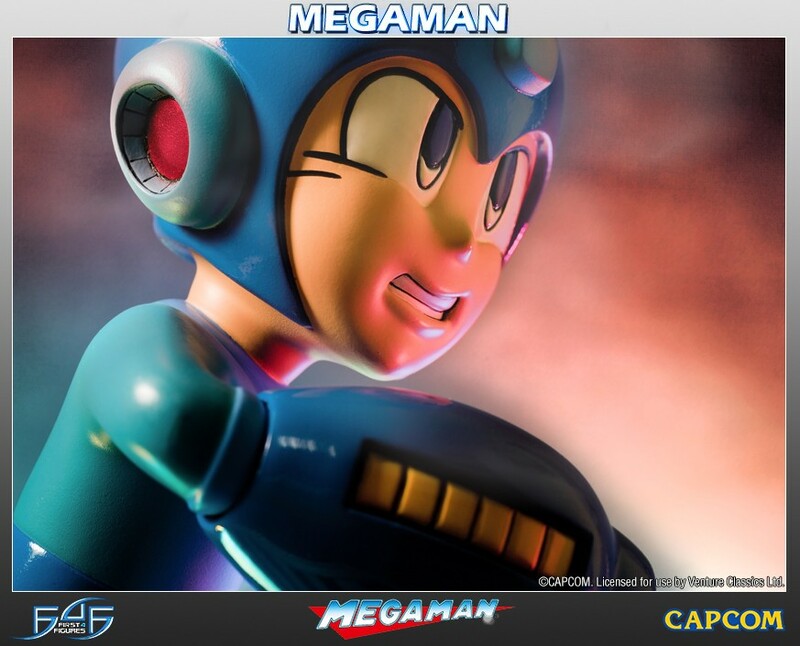 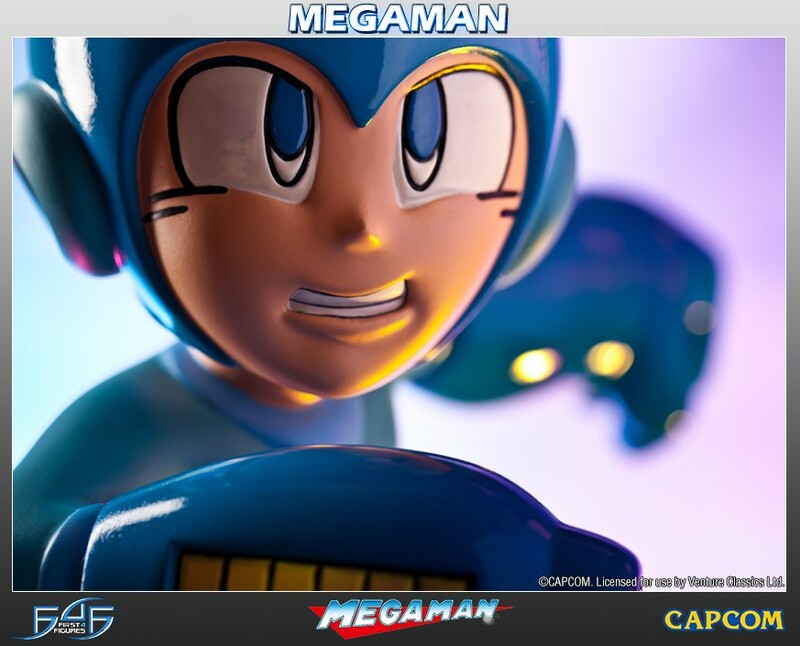 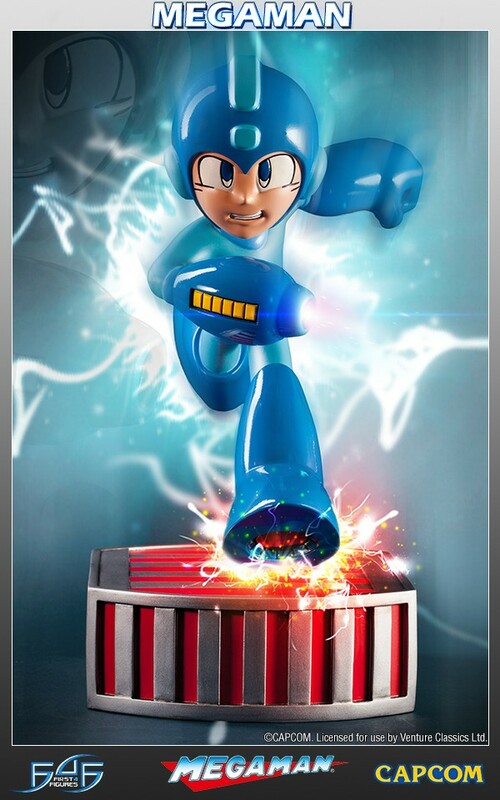 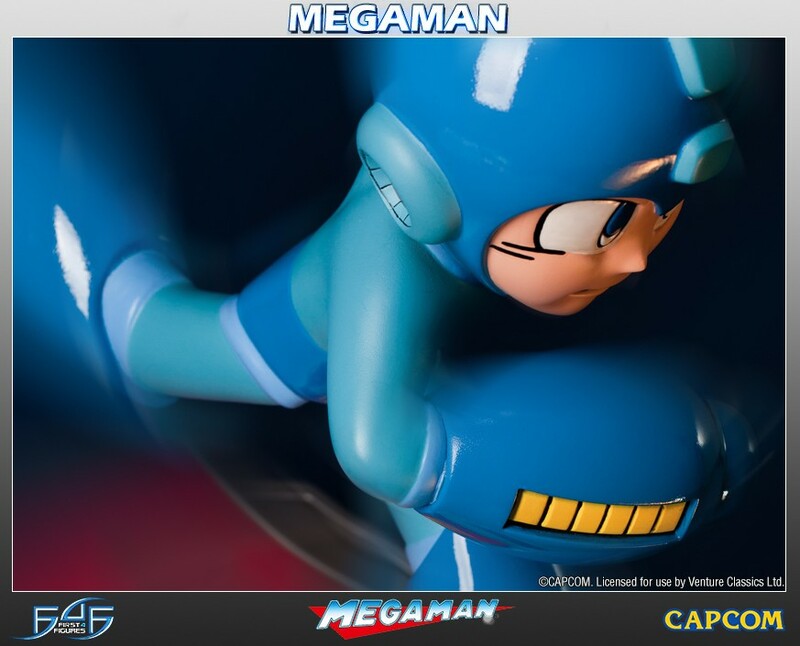 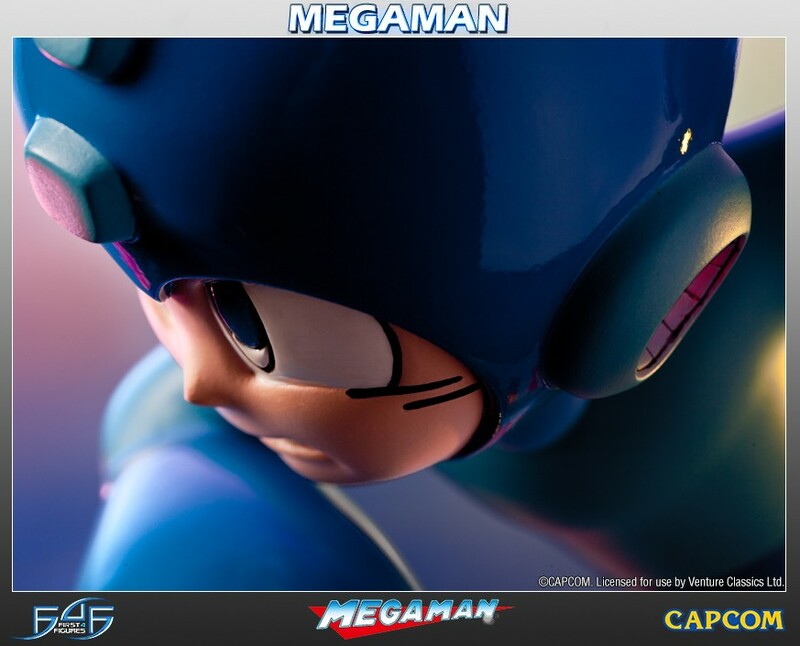 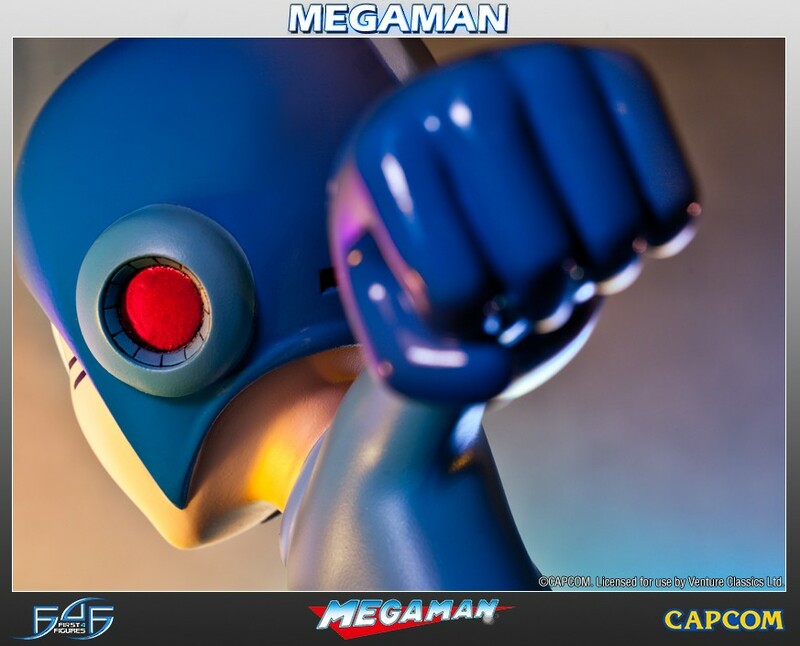 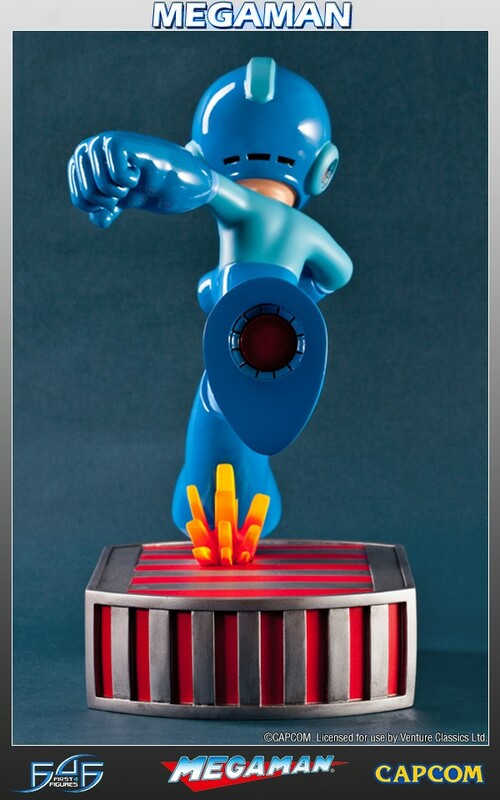 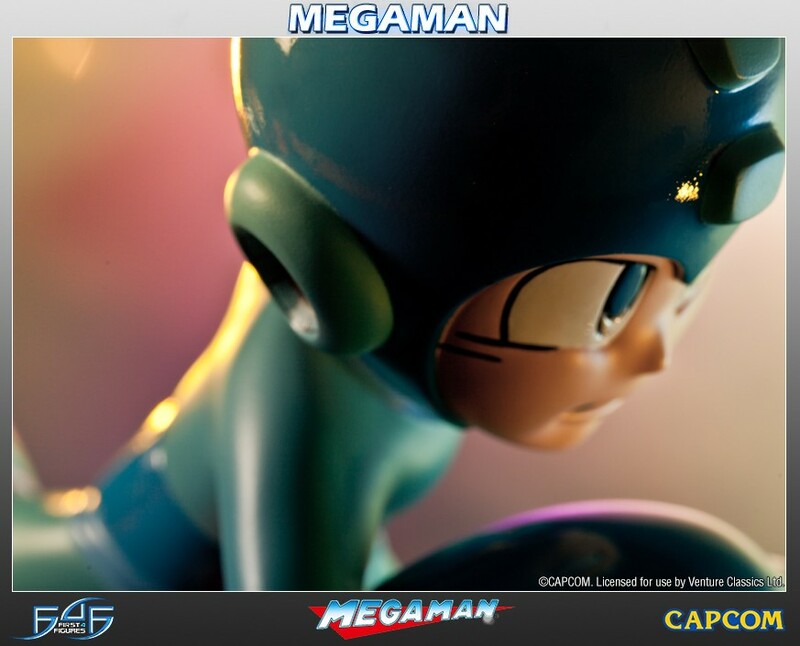 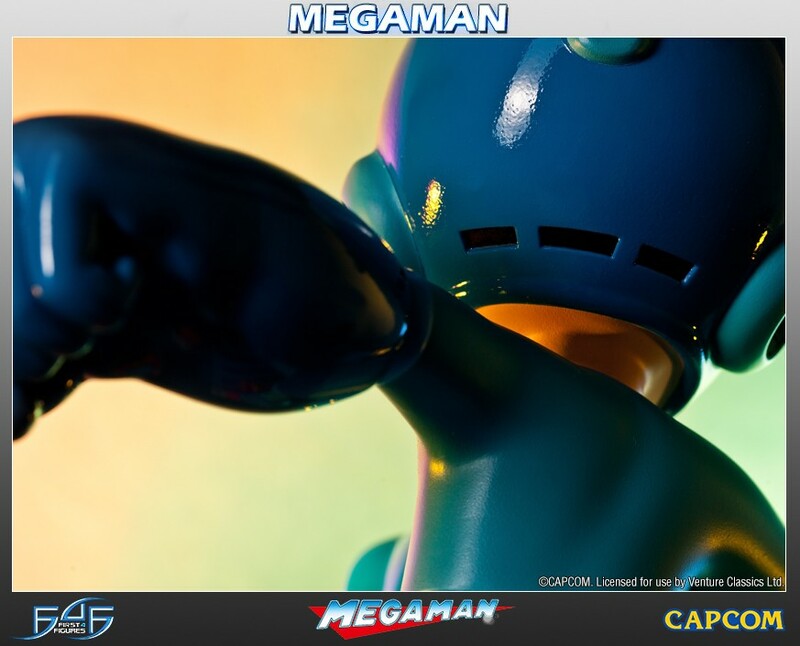 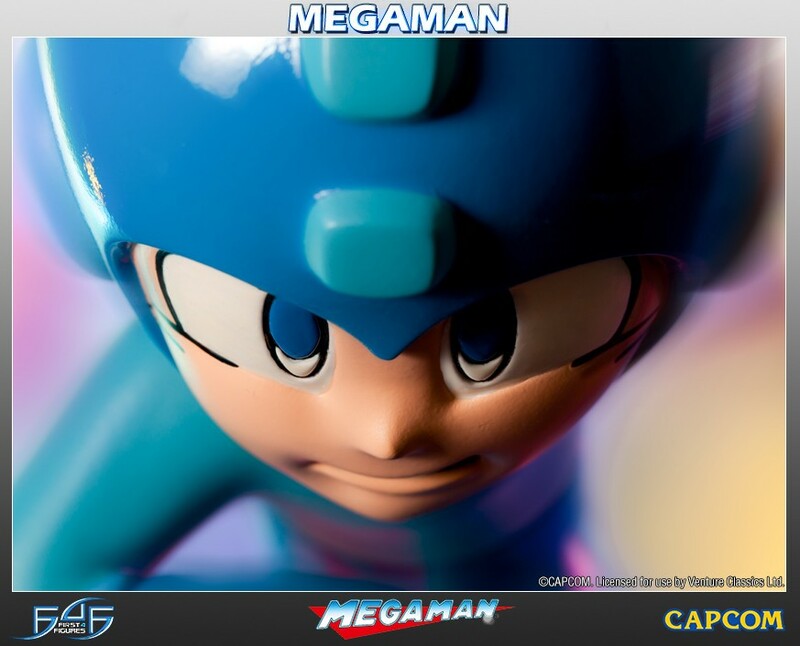 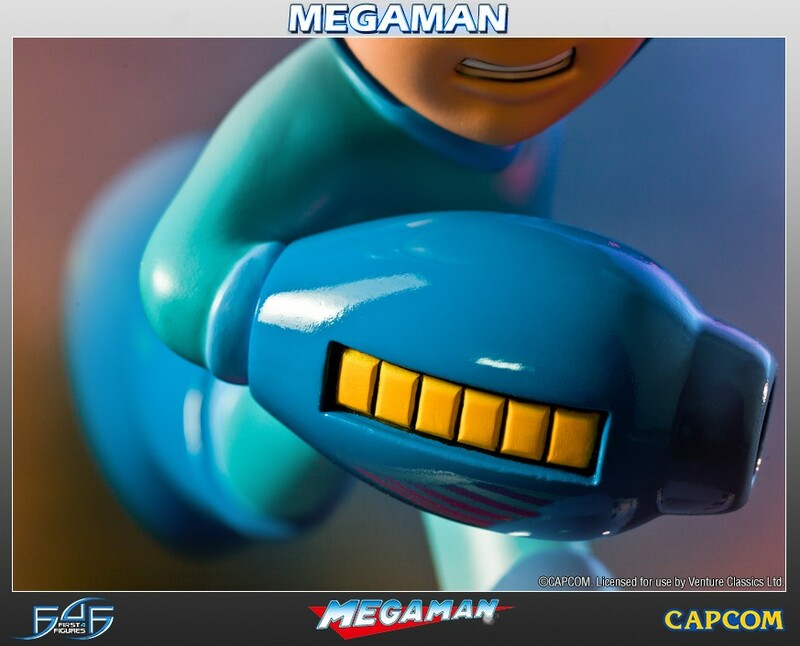 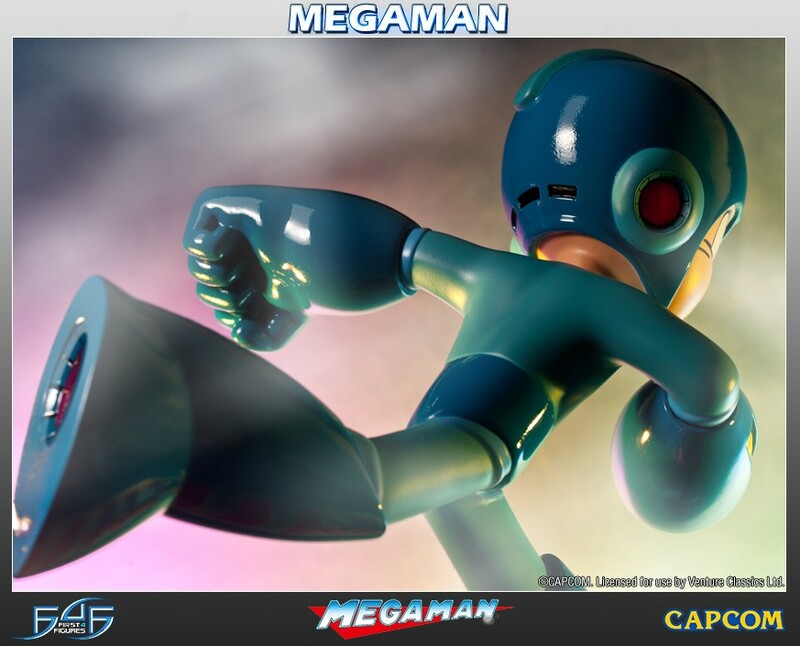 First 4 Figures is very proud to present Megaman in his classic in-game design from the legendary series by Capcom. 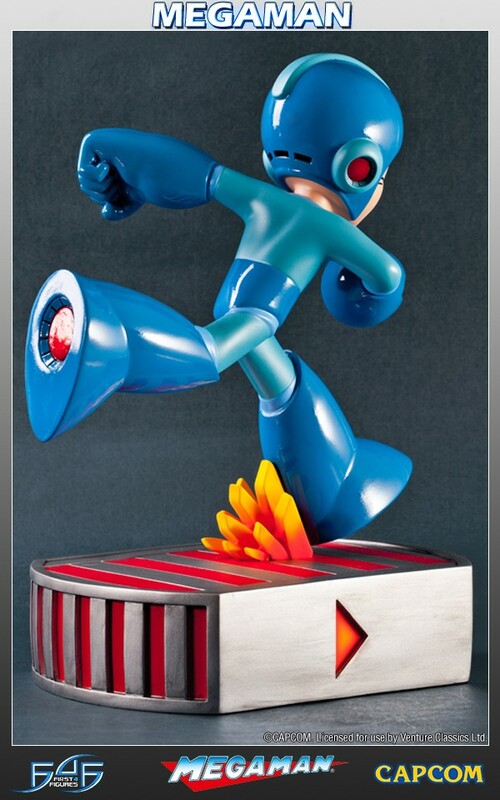 Megaman is portrayed sprinting on one of the conveyor belts seen in Metal Man’s stage from Megaman 2, with sparks flying as the ceratanium boots on his feet graze the surface. 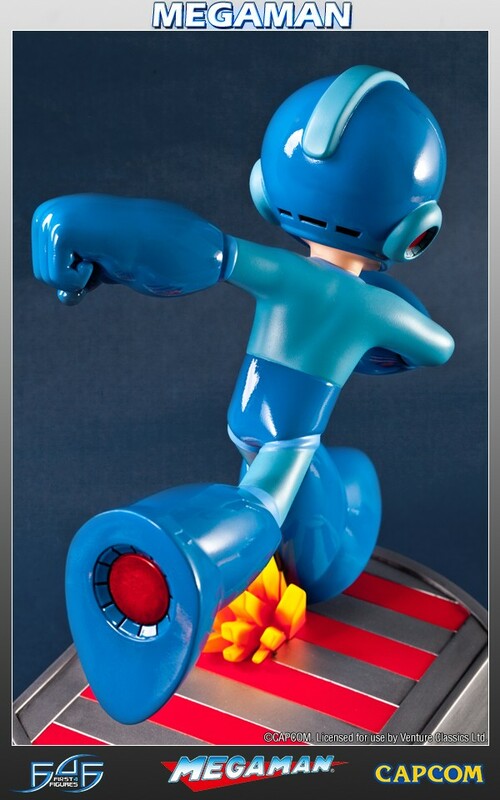 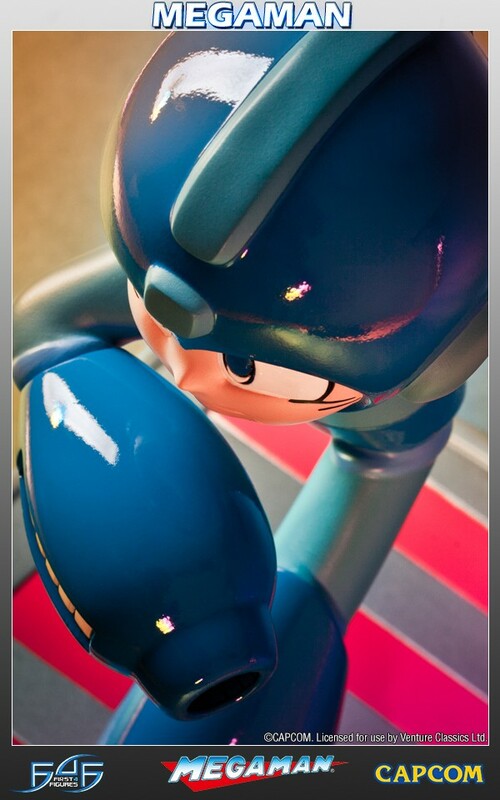 On his right arm, Megaman has his Mega Buster equipped on his way to the showdown with Metal Man himself. 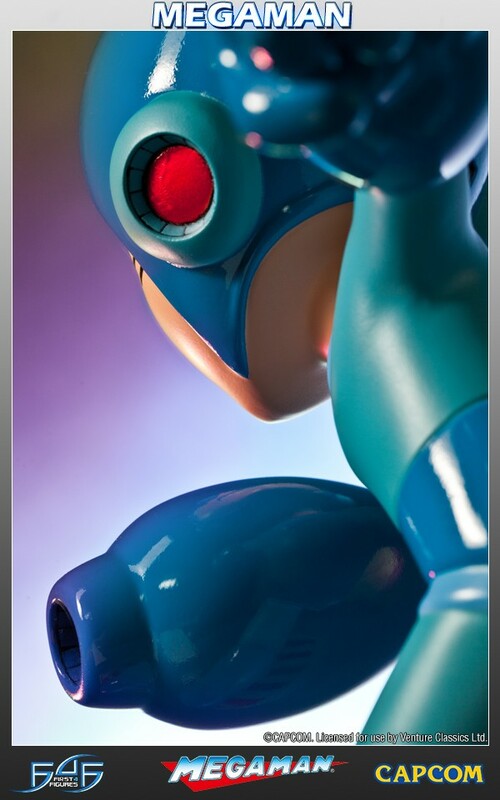 The entire statue is cast in high quality polystone, and uses a variety of painting and finishing techniques to achieve a remarkable appearance to the statue. 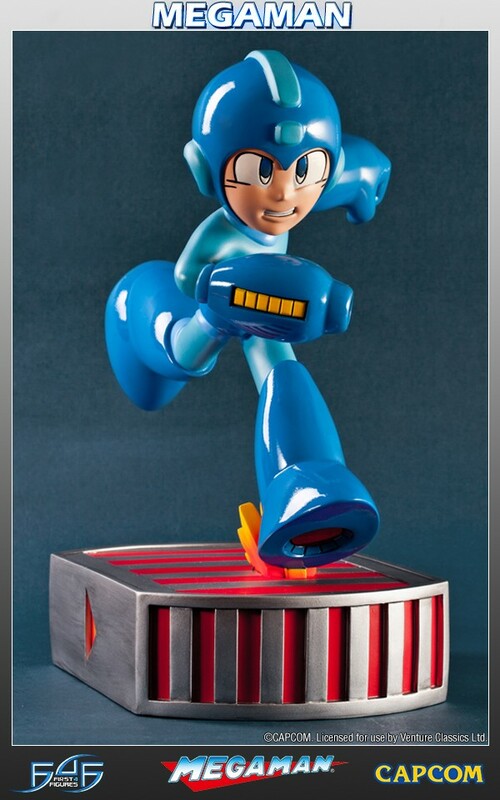 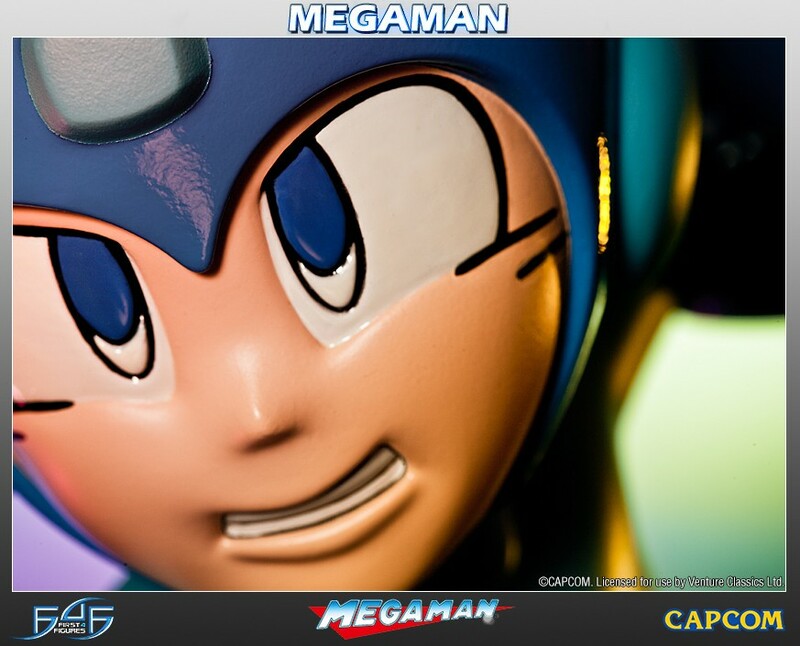 From the bottom of the base to the top of Megaman’s head, the statue measures 13 inches tall. 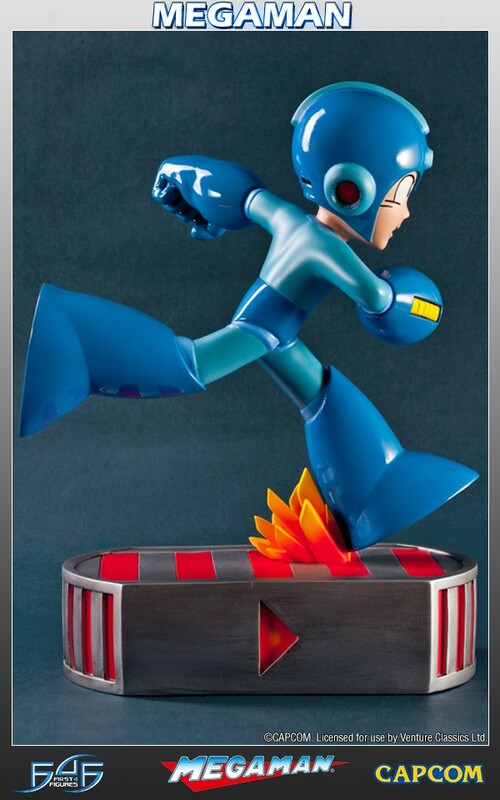 Comes in deluxe full color packaging, hand numbered base, and includes an authenticity card which allows you to purchase the same number of the model next in the Megaman series. 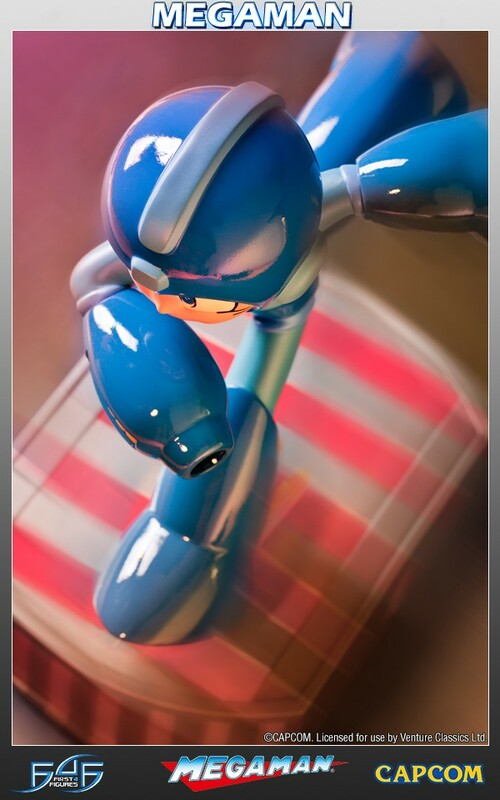 Megaman is the first in an all new range, and the lowest numbers will be available to those who pre-order earliest, so don't miss your chance! 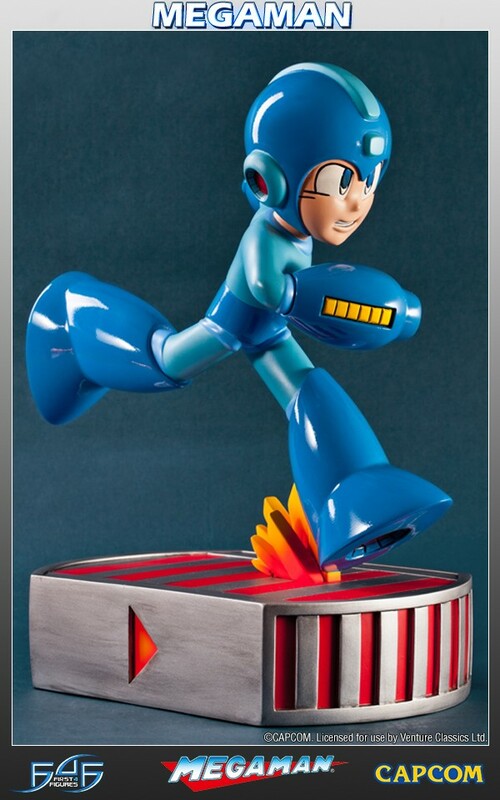 Highly limited to 1000 units worldwide. 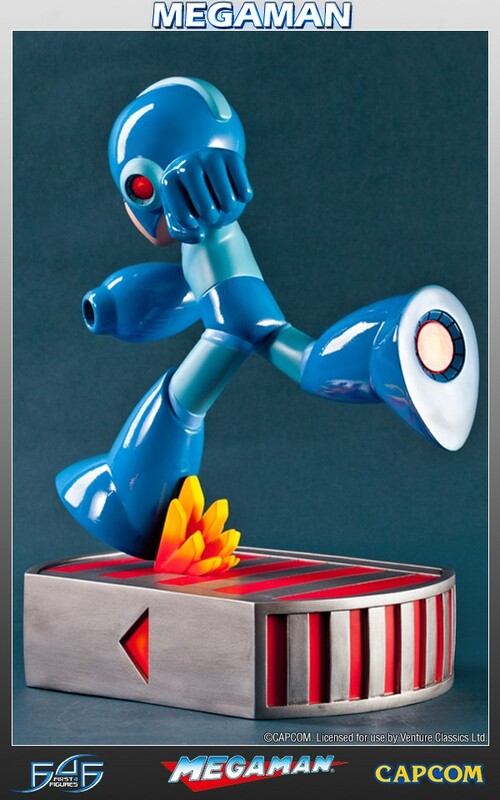 Awesome statue. 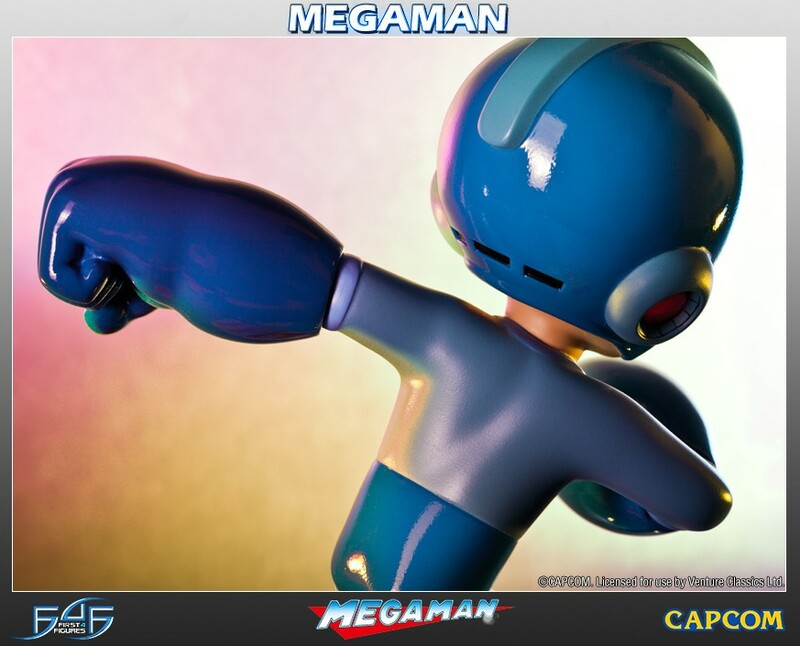 Encompasses the character well.